We get it. You have clients in town, everyone is hard at work, the meeting has run long, and the LAST thing you want to think about is what to eat. That’s why we’re here! Lori Beth’s has been catering Corporate events and meetings for years. Breakfast? Lunch? Dinner? We do it all! Do you have a private party in need of gourmet catering? Maybe a birthday party for that special someone in your life whom you would like to impress? How about a wedding coming up and you want an elegant spread of food for the couple’s special day? Here at Lori Beth’s, we have years of experience helping customize your special event no matter the occasion. Yes, we even help customize the event itself! Every event has it’s own flavor, and we are here to ensure that not only the food but the layout and event itself is reflected in whatever your vision is, right down to layout and color scheme. No, we don’t do THOSE Edible Arrangements. 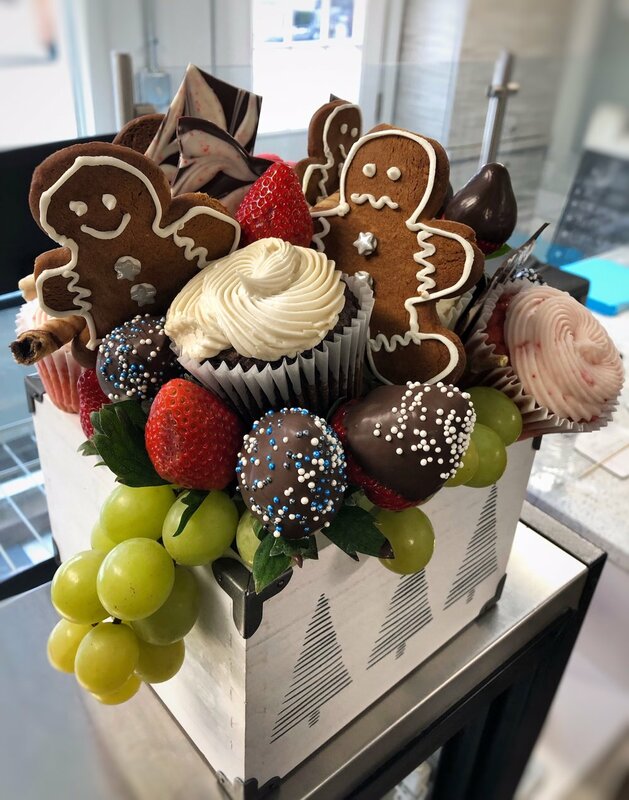 We painstakingly design each and every one of our LB’s Special Edible Arrangements and Gift Baskets to order. Whether it be for BIRTHDAYS, ANNIVERSARIES, HOLIDAYS, a simple ‘THANK YOU’ for businesses (or any other occasion) Lori Beth’s is here for you. Sure, you COULD call the other guys… or you could call US and have a quality, gourmet experience customized for you and you alone.